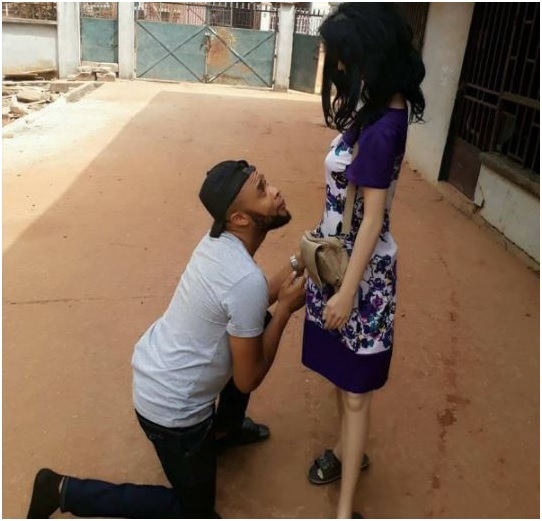 This guy has left tongues wagging after he went down on one knee and proposed to his ‘s3x doll’ in public. 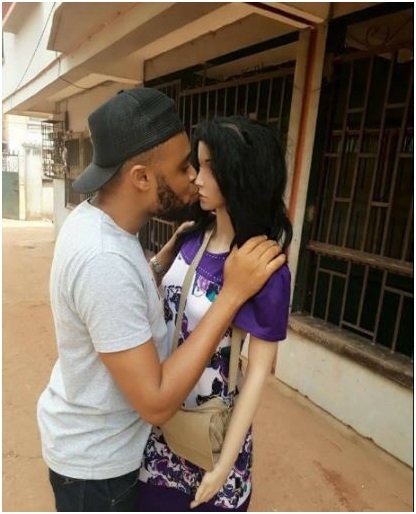 The introduction of the human-like s3x dolls has dominated talking points for the last month or so with men embracing them while ladies criticizing them for obvious reasons. 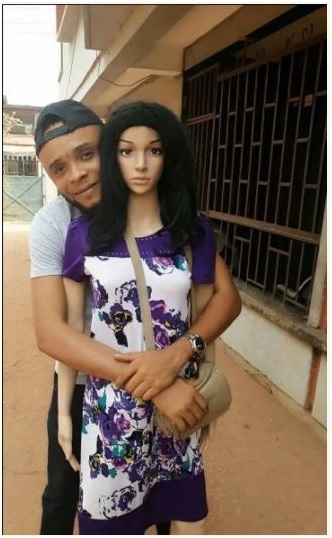 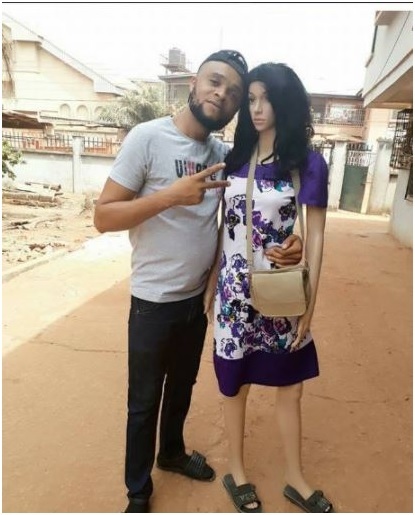 Since they don’t come cheap, this guy got himself a mannequin and went ahead and proposed to her although we gather he’s still waiting for an answer.